Since 1994, Mexico’s central bank is autonomous in defining and implementing the county’s monetary policy. Monetary policy decisions taken by Banco de México (Banxico) are aimed on guaranteeing the purchase power of the Mexican peso, based on inflation control and exchange rate monitoring. The monetary policy implemented by Banxico has created favorable conditions for sustained economic growth, reaching stable and significantly low inflation levels. According to INEGI, at the end of february 2019 the inflation rate was 3.94%. According to the Central Bank estimates, it is forseen that during 2019 and 2020 inflation will maintain its downward trend, to annual levels of 3.4% and 2.7%, respectively. Likewise, as of February 2019, Mexico has accumulated international reserves of over USD 175 billion, sufficient enough to overcome any volatility in the international markets. Based on the ARA (Assessing Reserve Adequacy) indicator of the International Monetary Fund (IMF), which determines the foreign exchange liquidity needs of any country, Mexico is placed in an adequate level to support its balance of international payments, while preserving financial and economic stability in the presence of external negative shocks. 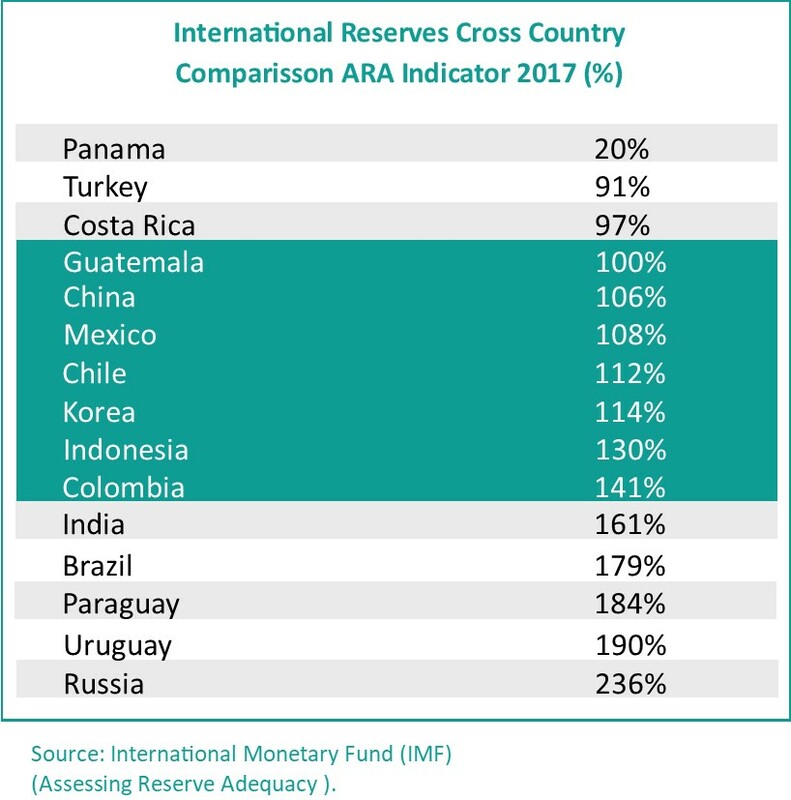 The IMF considers that reserves within 100-150 percent of the ARA metric are adequate. Furthermore, the International Monetary Fund, has acknowledged the Mexican economy soundness, and in November 2018 ratified the flexible credit line extended to Mexico of USD 74 billion. As a consequence, México has funds of over USD 249 billion to face any volatile environment with more strength. Banco de México carries out its monetary policy by establishing a target rate for one day bank lending transactions. The conditions under which Banco de México provides or withdraws such liquidity ensures the compliance with the objective established for one day interbank lending rate.